Thrown from the wreckage of his '74 Camaro, Paul Sheldon, author of a bestselling series of historical romances, wakes up one day in a secluded Colorado farmhouse owned by Annie Wilkes, a psychotic ex-nurse who claims she is his number one fan. Immobilized from the pain of two shattered legs and a crushed knee, Sheldon is at Annie's mercy. Unfortunately for Sheldon, Annie is mad; mad that he killed off her favorite character, Misery Chastain, in his latest book; mad that he wants to escape; and of course, mad in the most extreme clinical sense of the word. 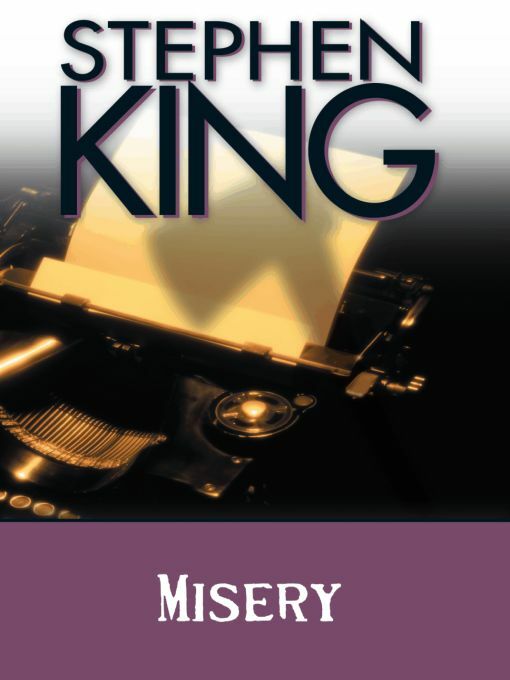 To set the world straight, Annie buys Sheldon a typewriter and some paper, drugs him, locks him in a room, and forces him to bring Misery back to life in a novel dedicated to her. Fear of physical torture is Sheldon's greatest motivation. One wrong sentence and she is likely to smash his legs with a sledgehammer, cut his thumbs off with a hacksaw, or much, much worse. But writers have weapons too. . .